Scott Baldridge has been designing and developing websites and software applications for over ten years after serving in the Army for thirteen years. The Army trained him in Networking and Client/Server related technologies. He became a Microsoft Certified Systems Engineer after leaving the Army and pursued a career in Information Technology. Scott traveled around the country for a while designing and installing networks and integrating software solutions until he became a developer for Transcender. At Transcender, Scott wrote training software content for Microsoft, Cicso, Linux and CompTIA industry related certifications. While at Trancender, he envisioned, designed and developed twelve software products targeted at training Soldiers in the Army to become better with the common skills required to become a leader. This software is currently being used at several Army bases worldwide. One day Scott’s father requested, in his best Foghorn Leghorn voice, “Boy, make me a website”. So, Scott went to work the next day and asked the smart people at Transcender, “What is the best technology to learn to make Websites?”. Scott was then introduced to ASP.net and dove head first into making the website. After his father’s Christian based website was released he came back to Scott and said, “Boy, I see things moving on other sites; make some stuff move on mine”. He went back to the smart guys at Transcender and was introduced to Flash. For the next two years Scott lived in Flash, went to school, and studied more about ASP.net and building database applications. That time at Transcender set the ball rolling for his career as a software developer. Scott worked several years for Black Box Corporation, a publicly traded company. During his tenure there, he developed web applications and check-out systems for companies like Target and Walmart. 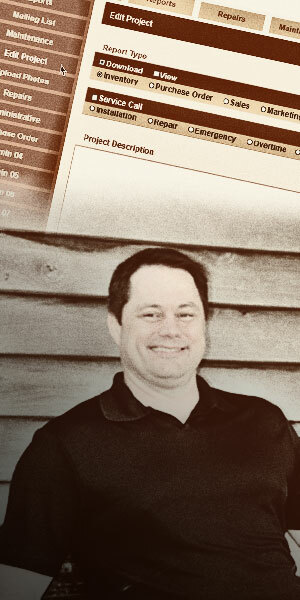 Scott launched Scott Baldridge Designs when friends and acquaintances came requesting custom Websites for their businesses. As Scott built his business, he established Web You Weave, Inc. to address the need for custom web portals, Ecommerce and marketing websites and blogs.